Untitled, originally uploaded by nobodaddy69. Zungeru. The so-called forgotten capital of Northern Nigeria. Zungeru was the capital of the Northern Protectorate from 1902 to 1916. The 'pacification' effort cost British lives as well as countless lives of locals. Zungeru was Lord Lugard's operational base until the capital of the North was shifted to the new town of Kaduna just before the end of the First World War. 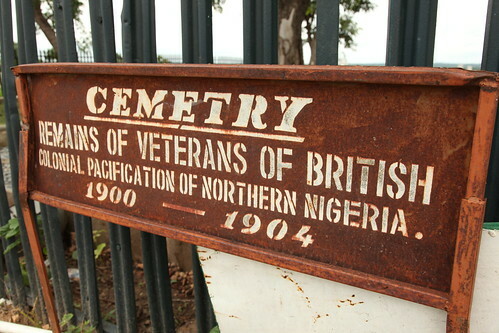 The Lugard cemetery lies on a hill just outside the town. Its a beautiful place to be buried, even if the dead lie thousands of miles from home.